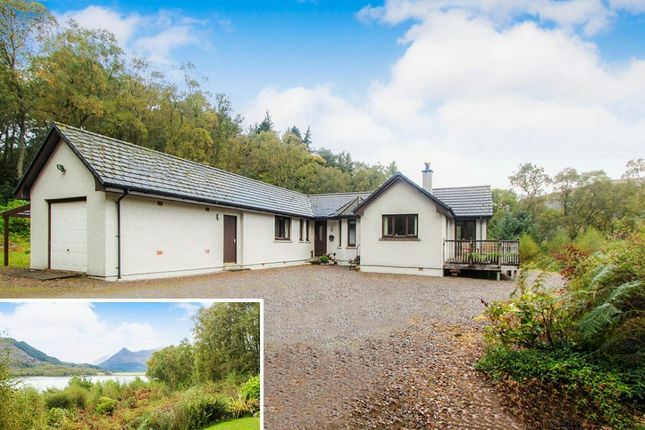 An immaculately presented & spacious detached Bungalow, in an elevated position with stunning loch views overlooking Loch Leven and magnificent mountain views towards the Munros & Corbetts. Set in four acres of well-maintained grounds offering a rare development opportunity (subject to the relevant consents), this property would make a perfect family home or investment purchase. Property descriptions and related information displayed on this page, with the exclusion of Running Costs data, are marketing materials provided by Fiuran Property, and do not constitute property particulars. Please contact Fiuran Property for full details and further information. The Running Costs data displayed on this page are provided by PrimeLocation to give an indication of potential running costs based on various data sources. PrimeLocation does not warrant or accept any responsibility for the accuracy or completeness of the property descriptions, related information or Running Costs data provided here.